Martin Jacobson’s 2014 World Series of Poker Main Event win confirmed him as one of the best live tournament players of his generation. In the time since his $10 million victory, Jacobson’s results suggest his game has remained sharp. Jacobson made three final tables last summer including a sixth-place result in the $111,111 High Roller for One Drop. The process for preparing for the summer grind does not wane for Jacobson. He is ready for the chance to win a second bracelet. Jacobson, who recently became an 888poker ambassador, jumps at the bit to map out his summer plans upon the release of the WSOP calendar. The plan for Jacobson is to play as many No Limit Hold’em events as possible. Those events are usually at the Rio but Jacobson took his show to the strip and the Venetian a few times in 2017. Jacobson wrapped up last year’s campaign with a second-place finish in a chop deal in the Card Player Poker Tour $5,000 Main Event for $398,303. Overall, Jacobson racked up six cashes. This summer fills with more anticipation than usual for Jacobson. The four-year time-span since his Main Event triumph coincides with another major global tournament. Jacobson notes that the monotony of the daily grind becomes cumbersome early on. Once the redundancy kicks in, the “excitement” reduces. When the endgame arrives, Jacobson is able to leverage his experience and work ethic. How does Jacobson keep himself fresh for the summer? The Swede says he tries to set up as many mini-vacations as possible to remove himself from the casino environment. The destinations Jacobson prefers are Lake Mead, Los Angeles, and Red Rock. Finally, Jacobson tries to simulate a culture similar to where he lives in London. Cashes in four countries so far in 2018 equal weeks on the road. The one-city nature of the summer in Las Vegas means different routines. Jacobson’s play sets him apart from his peers along with the banner that hangs in the Rio. 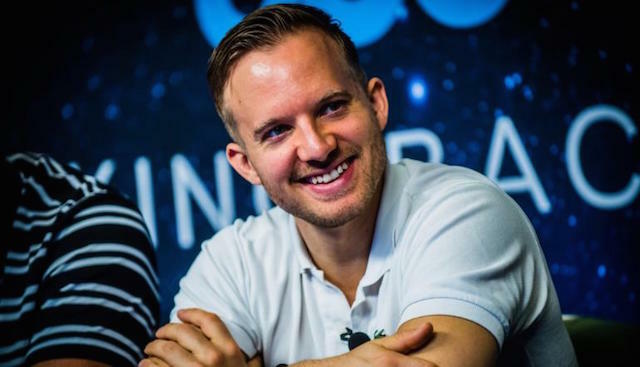 Four years is a long time for poker players and the 30-year-old Jacobson is looking forward to the opportunity to cash big once again with another major title in his sight.